This week’s home-learning can be downloaded below. If you have any questions, please come and ask me. 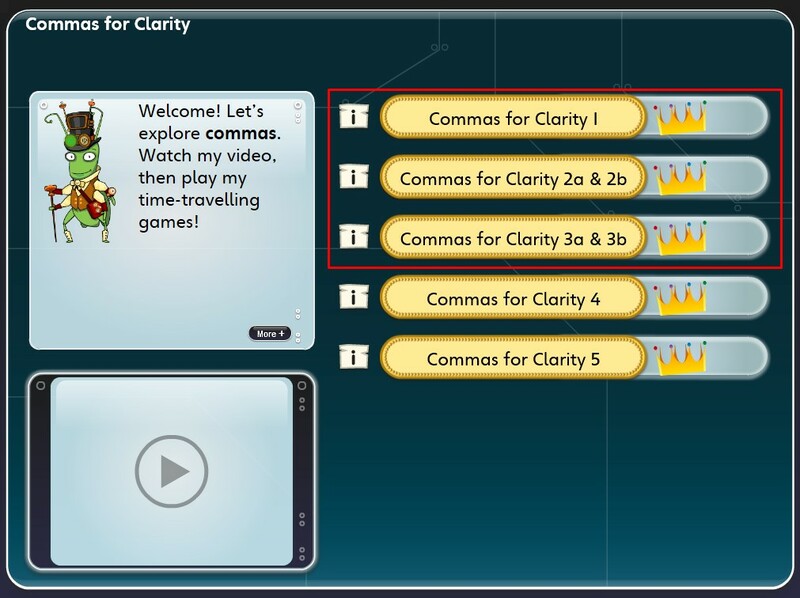 Complete the first three activities (see the picture below) on the ‘Commas for Clarity’ task on Bug Club. If you know that your score is not as good as it could be at the end, have another go. If you would like some bonus points this week, have a go activities 4 and 5. As always, if you do not have computer access at home, you can use the computers in school. As promised, your maths home-learning will be given out on Monday and will be all about subtraction (and maybe some addition).